Siegel’s 1941 serves classic root beer floats, photo courtesy of El Cortez. Nothing beats a good old fashioned root beer float. 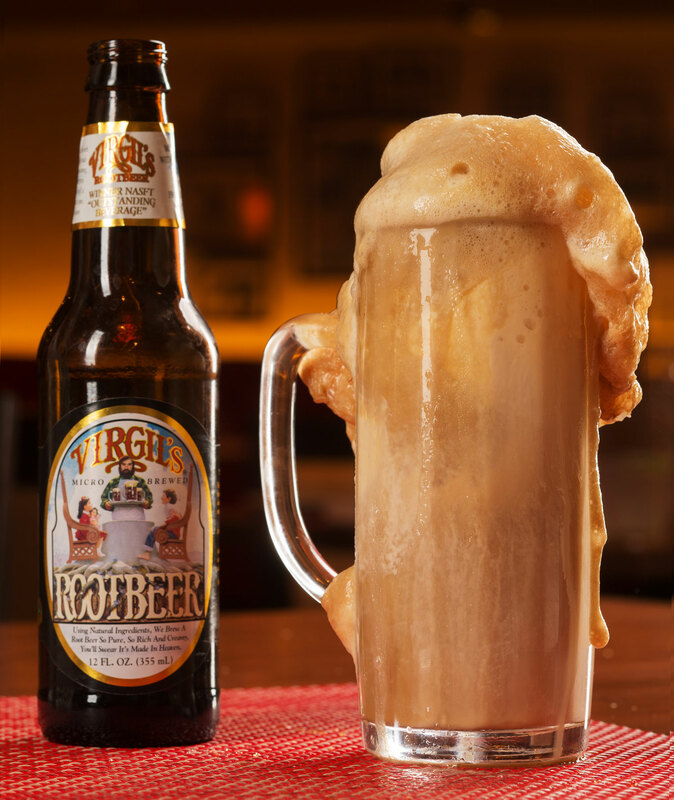 Siegel’s makes theirs with Tahitian vanilla bean ice cream at the base and Virgil’s Classic Root Beer on top. We also love Siegel’s other ice cream dishes like the Creamsicle, which includes two scoops of Tahitian vanilla bean ice cream and Virgil’s Orange Cream Soda; and their build-your-own sundae with a choice of vanilla or chocolate ice cream topped with hot fudge, caramel, nuts, whipped cream, maraschino cherries or the works. 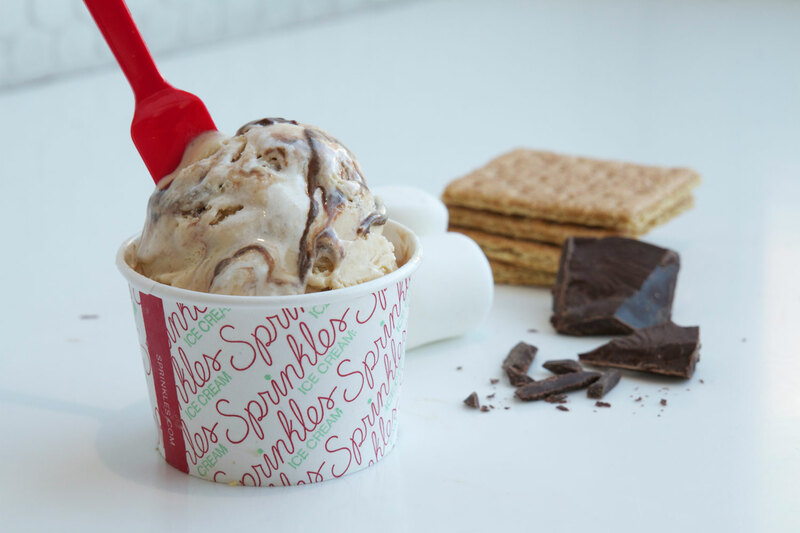 The s’mores ice cream at Sprinkles, photo courtesy of Sprinkles. Sure, Sprinkles is known for cupcakes, but we’ll let you in on a little secret: Their ice cream is amazing too. The flavors change by the week but you might find things like coffee fudge almond, banana caramel chip, Cap ‘N Crunch, salty caramel (our personal favorite) or malted milk chocolate. You can also have the best of both worlds and get a Sprinkles Sundae – a scoop of ice cream between a cupcake top and bottom. BLVD Creamery at Monte Carlo serves a variety of ice cream flavors, photo courtesy of Monte Carlo. If you’re walking along the Strip, this is a great place to stop in for some homemade ice cream, sorbets, milkshakes, malts and floats. There are a variety of flavors that vary by the day. Yes, you can get your classic chocolate and vanilla but we suggest you try some of the more creative flavors like watermelon jalapeño sorbet or Suds Sorbet made with Shock Top beer. BLVD Creamery serves the ice cream in sugar cones, waffle bowls and chocolate dipped waffle cones. You can also get ice cream sandwiches made with cookies, brownies and donuts. 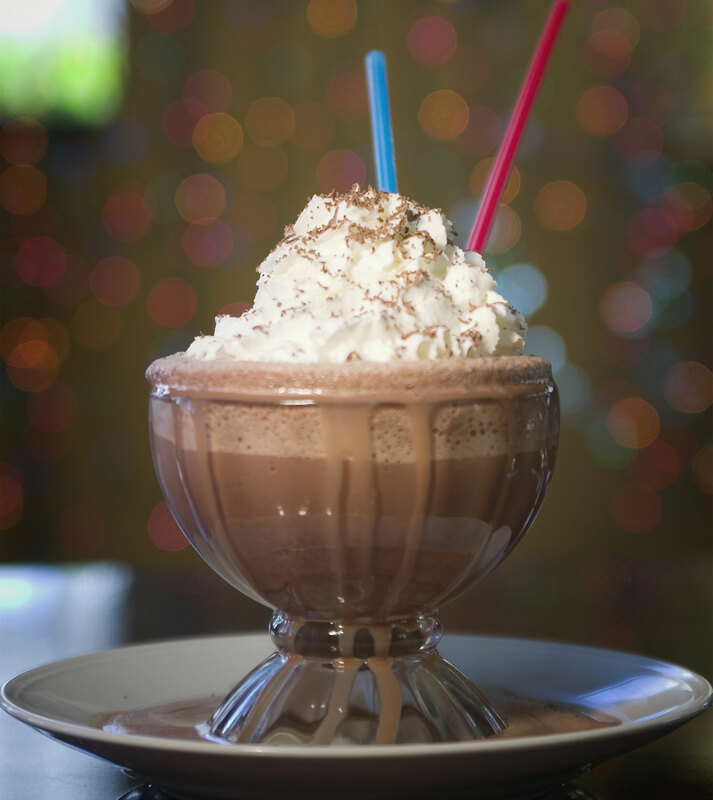 The signature Frrrozen Hot Chocolate at Serendipity 3, photo courtesy of Caesars Palace. HEXX chocolate ice cream, photo by Adam Christopher Smith courtesy of HEXX. This place actually makes chocolate on site so you know they know a thing or two about creating great sweets. Their ice cream doesn’t disappoint. Choose from shakes in flavors like espresso or brown butter praline or a variety of sundaes. We like the Bake Sale sundae with cheesecake brownie ice cream, brownie, cookies and crispy rice treats. Rick’s Tasting Game, photo courtesy of rm seafood. Want to have a little fun with your ice cream? The folks at rm seafood have turned it into a game. 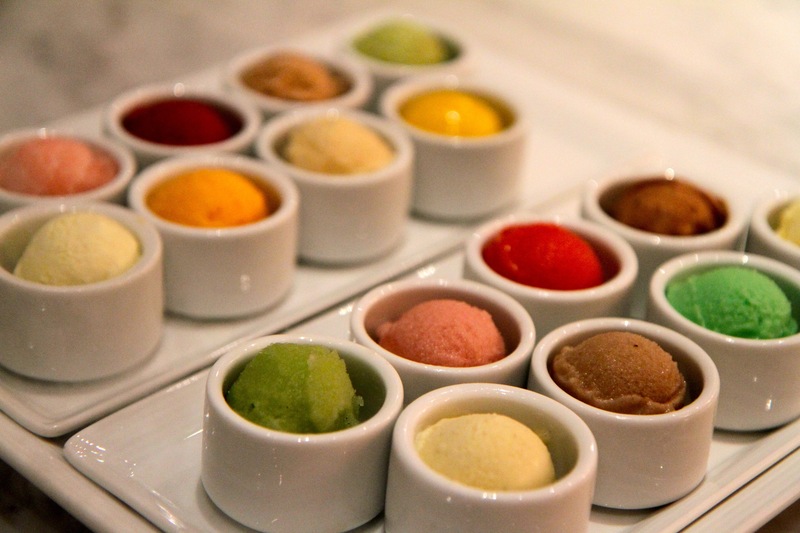 Try Rick’s Tasting Game and you’ll be given 16 flavors of house made ice cream and sorbet served blind. Guests are given a map with blank spaces. The objective of the game is to place the correct flavor with the correct country. Examples of flavors might include chocolate sorbet, Guinness and raspberry mint. 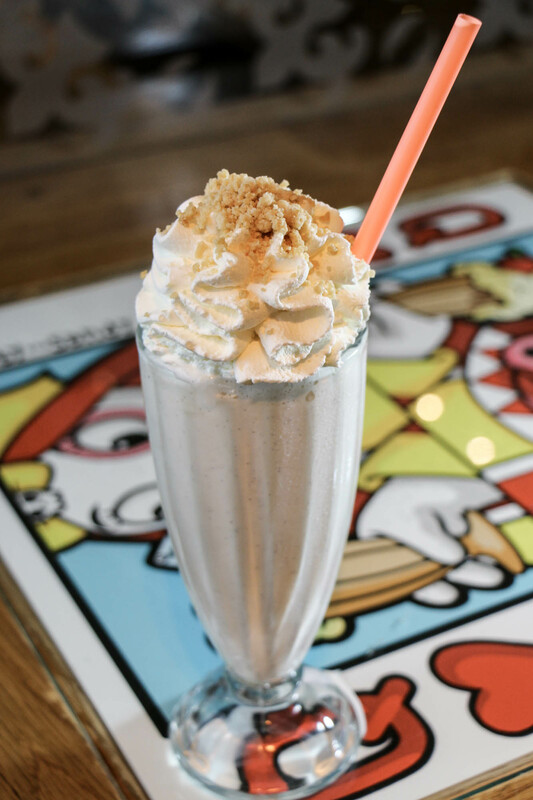 The apple pie shake, photo courtesy of Holstein’s Shakes & Buns. What’s better than a milkshake? A milkshake spiked with alcohol. You’ll definitely want to try one of the signature Bam-Boozled shakes. They come in flavors like a frozen grasshopper with chocolate vodka and crème de menthe; a bananas Foster with Myer’s dark rum and the red velvet cake with Zing red velvet vodka, red velvet cake, cream cheese mousse and a mini Whoopee Pie. 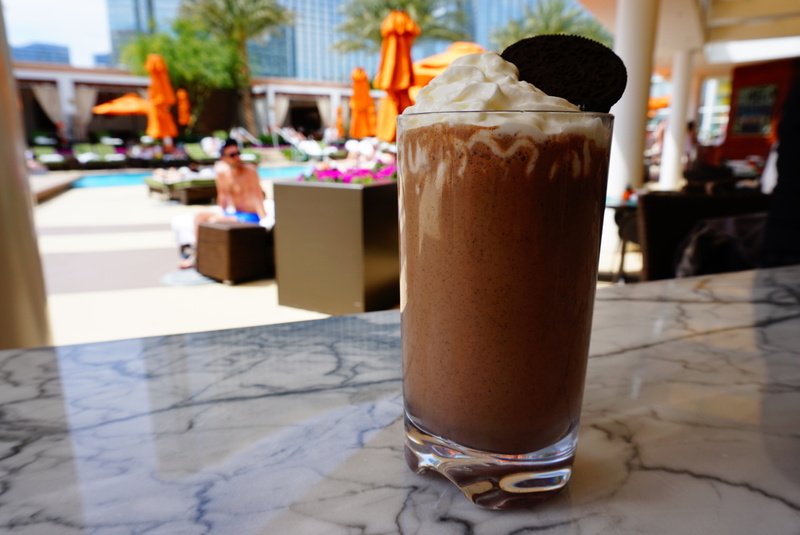 The Girl Scout Cookie shake, photo courtesy of Mandarin Oriental. There’s no better place to enjoy some ice cream than by the pool. Head to the Pool Café and order one of their frozen treats. Grab a cherry, watermelon or bubblegum popsicle, an ice cream bar, an ice cream cookie sandwich, gelato or sorbet. We suggest a milkshake like the Girl Scout Cookie with crushed mint Oreos, chocolate ice cream and crunchy white chocolate pearls or the peanut butter milkshake with housemade vanilla gelato, banana, peanut butter and chocolate. 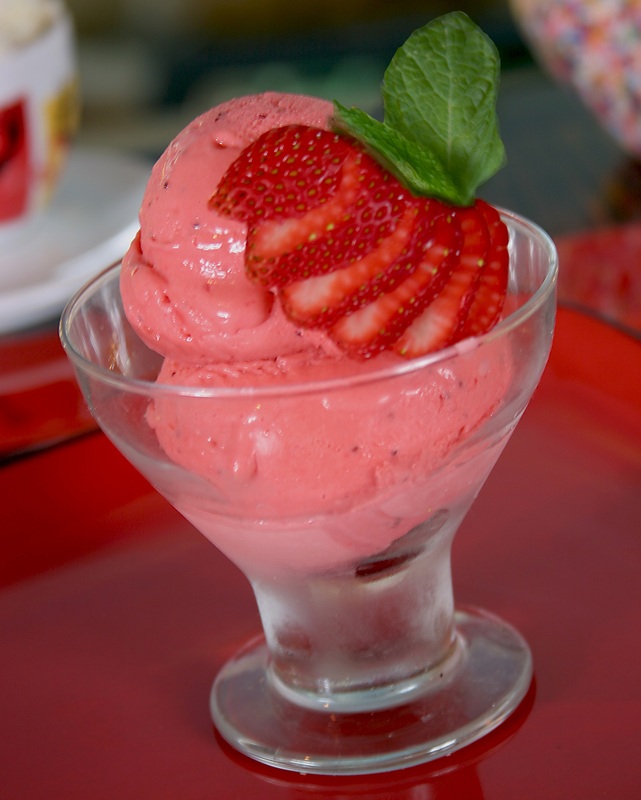 Strawberry gelato, photo courtesy of TREVI. If you’re looking for cool, creamy Italian gelato, look no further than TREVI. 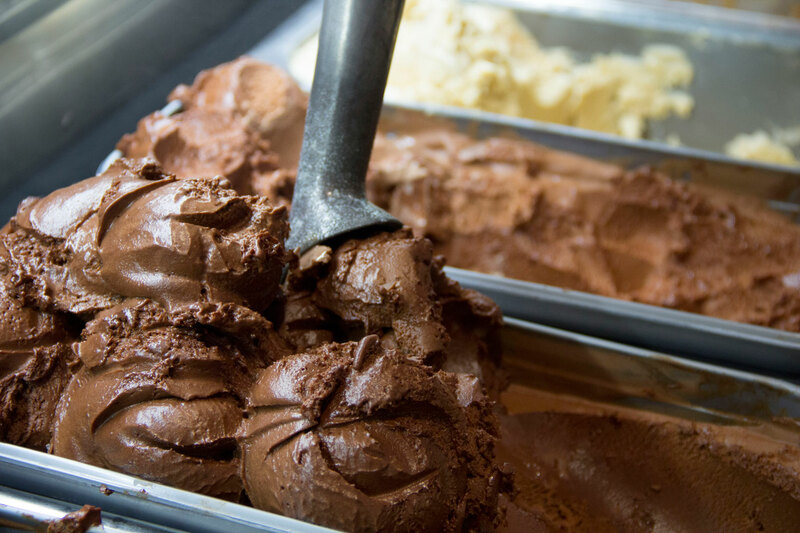 The restaurant has a walk-up gelato bar offering housemade flavors made daily. The flavors vary but you’ll find things like tiramisu, cappuccino, pistachio, Italian vanilla and chocolate mousse. They often make special flavors for holidays too. If sorbetti is more your style, enjoy strawberry, lemon, raspberry and more. 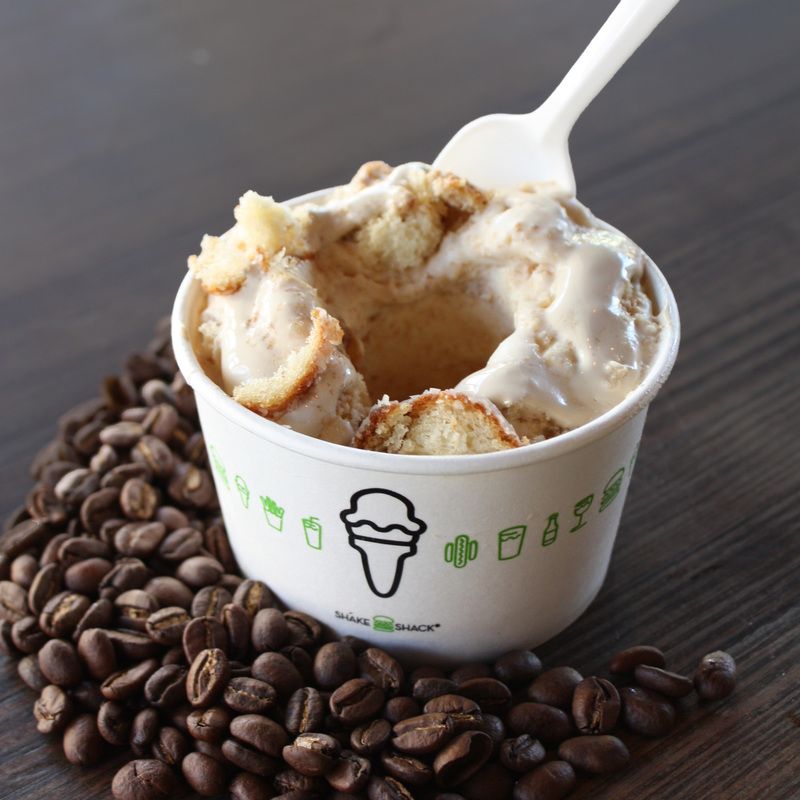 Coffee and donut concrete, photo courtesy of Shake Shack. You might come here for burgers, but as the name suggests, they also have some pretty awesome frozen custard shakes. They come in vanilla, chocolate, salted caramel, peanut butter, coffee and more. You can also get root beer floats, cups and cones full of the creamy goodness. Shake Shack also has concretes (dense frozen custard) with Vegas names like the Jackpot and All Shook Up, which is made from vanilla custard, local bakery The Cupcakery’s peanut butter frosted banana cake and chocolate toffee. Tip: Not eating a full meal and just ordering cold items? Look for the C-Line walk-up window outside and skip the regular line. Jonesing for more? Check out these ice cream treats in Vegas.